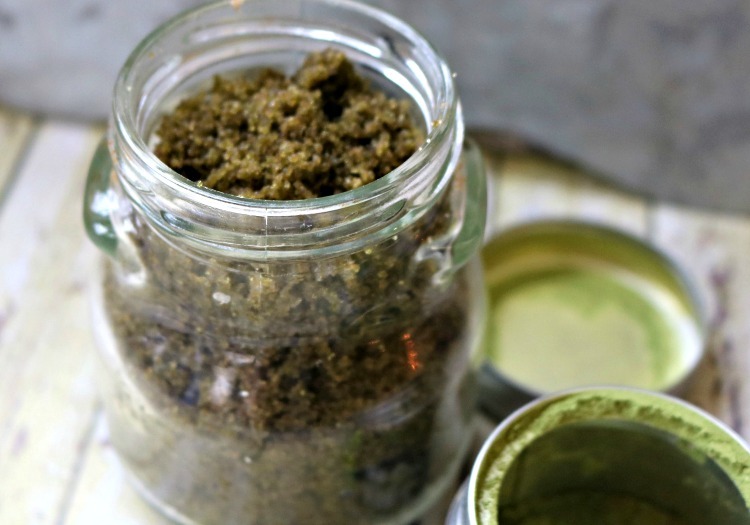 Do you love homemade natural beauty products? 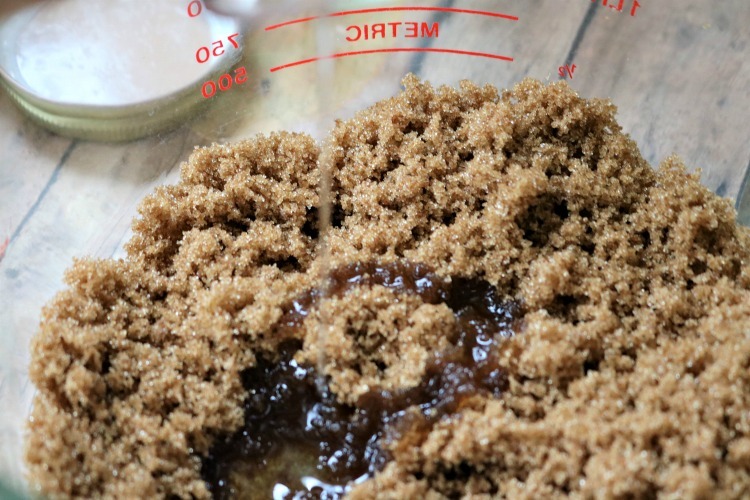 Learn how to make a simple DIY Brown Sugar Body Scrub. Our recipe uses matcha green tea, coconut oil and essential oils to smooth and moisturize dry skin. 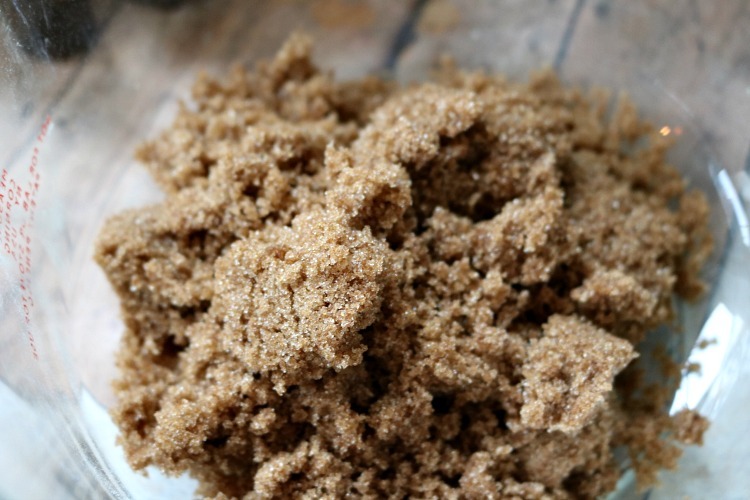 Brown sugar makes a great base for a body scrub, if you’ve never tried it. It is similar to using granulated sugar or sea salt. However, since it’s a bit softer to begin with, it tends to add another level of moisture to the scrub that you don’t typically get using salt or granulated sugar. Pro tip: if you have trouble with your brown sugar hardening, add this to the jar. If you follow the directions, it works amazingly well! 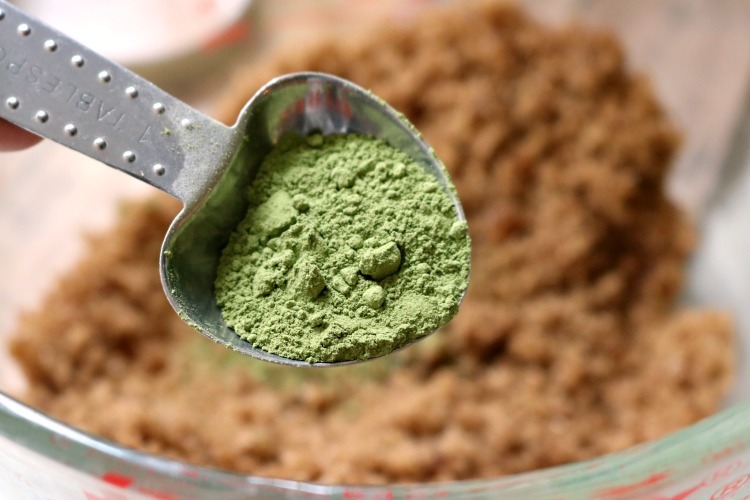 In this recipe, brown sugar is combined with Matcha green tea powder, which is wonderful for nourishing the skin. Then all you have to do is add in a couple of great essential oils and what you end up with is an awesome-smelling scrub that will leave your skin feeling great and give you a lift. This is a perfect scrub to use after a long day, with the uplifting benefits of orange essential oil and rejuvenating qualities of the Balsam fir essential oil. If you don’t have Balsam fir oil, another good option is fir needle oil, pine oil or jack pine oil. This scent combination is not overly feminine, so the men in your life can use it too. Overall, this is a very easy recipe to make and it also makes a great gift, so if you have the ingredients and a couple of glass jars, it’s great to make up a few at once and then you’ve got some gifts ready to go for upcoming occasions. If you are using an upcycled jar, make sure it’s free of dust and wiped clean before you begin. Add the brown sugar to a large mixing bowl. Sometimes brown sugar can get small, hard lumps in it, and they are not fun to find in the scrub later. So, sift through it and remove or break down any hard lumps you may find. If you’re using a Brown Sugar Bear, you shouldn’t have that issue. Then, measure and add in the coconut oil. If it needs to be melted a bit in order to use it, simply put the jar in a bowl or pan of hot water for a few minutes. Add the coconut oil to the mixing bowl with the brown sugar. Whisk these two ingredients together well until the sugar is all consistently dampened by the oil. It doesn’t need to be very wet, just a good, dampened texture. 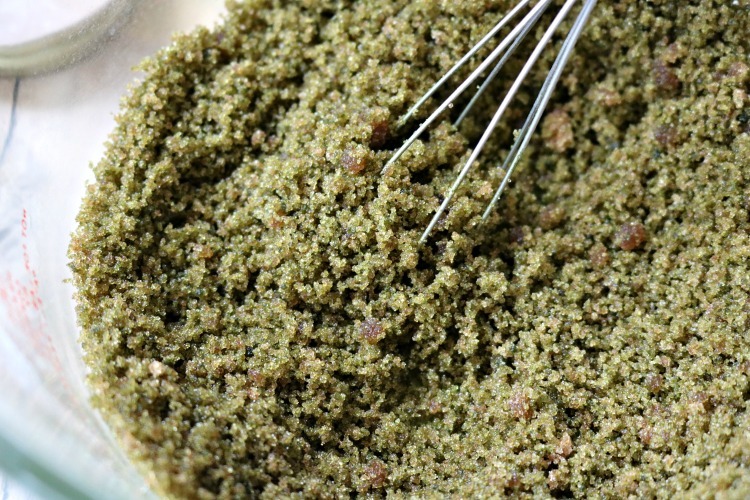 Now add in the Matcha tea powder and repeat mixing with the whisk. The color will change of course, with the addition of the green tea, so you will know when it is well-blended because all of it will be the same, brown color. Last step in the mixing process is to add in your essential oils. Add them and stir until well combined. Transfer the scrub into your jar and to finish it off, add a ribbon and a cute label if you’d like. Apply a small scoop of the scrub to damp skin and rub in well. Use on any rougher areas to soften and exfoliate and overall for moisturizing and balance. Keep rubbing in until the sugar is broken down and then rinse well. What are your favorite essential oil scents to add to your Brown Sugar Body Scrub? Want more matcha green tea recipes?